Our heart’s desire is to equip the saints for the work of ministry (Ephesians 4:11-12). One of the ways we do this is with our Adult Bible Fellowship (ABF) program. We offer new ABFs every twelve weeks. ABF takes place during a sixty-minute time period (9:15-10:15) on Sunday mornings. Before we begin ABF, at 9:00 AM, we enjoy coffee and pastries with one another. Afterward, at 9:15, we move to the different ABF rooms. Join us during the ABF hour for encouraging, thoughtful discussions about God's Holy Spirit. Jesus came to earth to save us and grant us eternal life together with Him. He ascended to Heaven to prepare a place for us. He is coming back one day to bring us home. In the meantime, He did not leave us as orphans. He has given us His Holy Spirit. 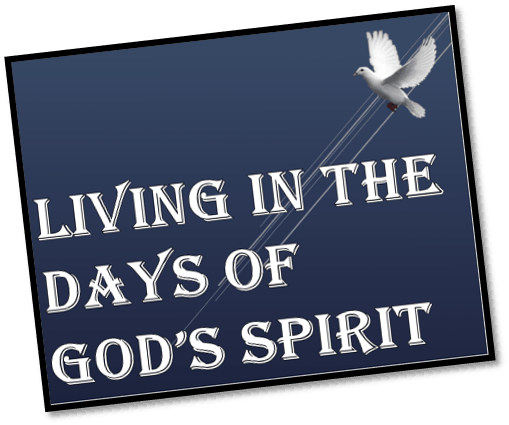 We live in the days of God’s Spirit. Who is the Holy Spirit? What is His role in our lives as Christians? The ABF, “Living in the Days of God’s Spirit,” answers these questions and more. We will discuss the Trinity, the person of the Holy Spirit, His role in the life of the believer, and His gifts.